Over 80 percent of American adults experience back pain sometime during their lives. Back pain is one of the most common – and most costly – ailments in our society. The cost of treating back problems, including doctor visits, time lost from work, insurance, physical therapy, and surgery, runs into the billions of dollars every year. When you experience pain and immobility in your back or neck, you need help regaining movement and functionality. 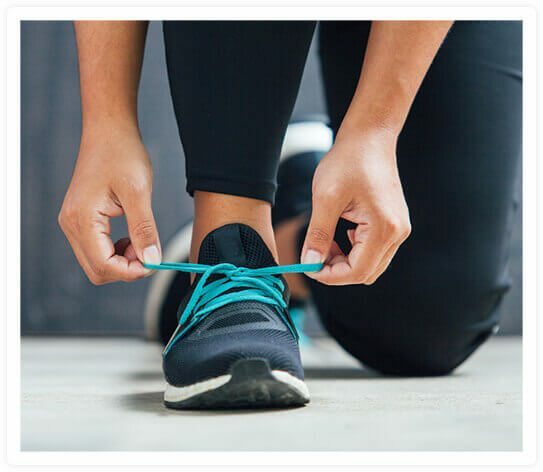 With decades of combined experience treating injuries and conditions of the musculoskeletal system, the physical therapists at Orion Physical Therapy and Active Orthopedics Physical Therapy can help restore your mobility and relieve your pain so you can get back to work and your daily activities. Our therapists will thoroughly evaluate your health and pain history, checking your range of motion, flexibility, strength, balance, gait, posture, and other points that may affect your pain experience. We will then create a customized treatment program using comprehensive hands-on techniques and proven modalities to treat musculoskeletal pain caused by injury, illness, and other conditions. By combining experienced care with our one-on-one, hands-on patient focus, we can achieve better results for you. Manual therapy is a specialized form of therapy delivered by the hands of a skilled physical therapist instead of a device. The goal of manual physical therapy is to decrease pain caused by muscle spasms, tension, or joint dysfunction. Our therapists use a combination of osteopathic and orthopedic manual physical therapy (OMPT) techniques to help restore proper spinal alignment and postural muscle balance, leading to stabilization and/or increased joint mobility. Our physical therapists use therapeutic massage to address chronic muscle tension caused by sprains, strains, or other overuse injuries. Not only does massage release tension and relieve pain in your muscles, tendons, and deeper tissues, but it also improves circulation, flexibility, and posture; enhances healing; and promotes relaxation. Myo means muscle and fascia is the smooth, tough connective tissue that covers muscles. When you injure or strain a muscle, both the muscle and fascia tighten, causing pain and restricted motion. Our physical therapists use myofascial release to stretch and loosen areas of fascia that are tight and sore. This technique involves applying gentle sustained pressure to release the fascial restrictions, relieve muscle pain, and restore motion. Myofascial release is not the same thing as massage; instead, it is a form of soft tissue manipulation. Our therapists use muscle energy techniques (MET) to treat muscle tightness and spasm, which causes muscles to shorten and become weaker, with decreased range of motion. The goal of MET is to relax and lengthen shortened or spastic muscles and improve muscle strength and range of motion. To perform muscle energy techniques, your therapist will move the body part with the affected muscle to the point where you can feel a mild stretch. You will be asked to contract the muscle for approximately 5 seconds while the therapist resists the contraction. You will then relax the muscle and repeat the process 2 to 3 more times. With each repetition, you should be able to stretch the muscle further. By stretching the muscle as far as it can go without feeling pain, the muscle is able to relax while range of motion increases and pain and muscle stiffness decrease. Joint mobilization techniques help relieve pain and restore range of motion to stiff joints anywhere in the body – from back and neck joints to shoulders, hips, and knees. Your therapist will slowly and gently stretch and move the affected joint through a natural level of resistance. Doing so helps stretch and strengthen the tissue and muscles surrounding the joint, which helps reduce pain and increase range of motion. Strain and counterstrain is an extremely gentle manual therapy technique used to relax muscle spasms anywhere in the body. Also called positional release technique, this treatment is highly effective for both acute pain from injury and chronic pain from conditions such as arthritis and fibromyalgia. A muscle in spasm is constantly sending strong signals to the nervous system. When a muscle in spasm is placed into a shortened position, it stops sending these “angry” signals to the nervous system. The nervous system then instructs the muscle to relax. Once the muscle relaxes, the pain goes away and movement is restored. After identifying the muscle in spasm, your physical therapist will position your body so the muscle is in a shortened position. Your therapist will hold this position for 90 seconds to 5 minutes or more, depending on how long it takes the affected muscle and fascia (tissues surrounding muscles and organs) to relax. Once your therapist feels the muscle spasm dissipate, he will release the position and you will feel immediate relief. Our physical therapists use spinal traction along with other treatments to relieve nerve pain in the neck or back that radiates into the shoulders, arms, and legs, especially sciatic nerve problems. It is also highly effective in treating arthritic conditions of the spine by decompressing the joint surfaces that cause pain. Also called decompression, spinal traction applies constant or intermittent pulling forces to the spine to increase the space between vertebrae and relieve pressure on compressed nerves. Traction also stretches muscles and ligaments of the spine, which helps relax muscles, reduce muscle spasms, and decrease pain. At Orion Physical Therapy and Active Orthopedics Physical Therapy, your therapist will customize your care utilizing different manual therapies or modalities to relieve your pain and restore flexibility and mobility. We truly care about your safe, rapid recovery. Our physical therapists have helped thousands of people with muscle and joint problems. There’s an excellent chance we can help you, too. Tell your doctor you prefer the most effective and compassionate care available in Lake Orion, Midland, and Freeland, Michigan. For an appointment, call the location most convenient to you.